If you are a product-oriented company, you need to have a presence on Instagram and a strong one. That’s because Instagram has rapidly become one of the top visual social networks with 1 billion users, out of which 500 million use the network every day. By encouraging user generated content is one way to truly increase your brand awareness. That’s because it promotes your content in an extremely efficient way – genuine word of mouth. You can achieve this objective by using your bio space as an area to explain the type of content you are looking for and which hashtag (#) users should use when posting a photo or video. Let users know that if they participate, there is a chance you will repost (or Regram) your content on your feed. Everyone loves attention and if you give users an avenue to exercise that attention, there is a very good chance they will want to participate. Figure out a theme. Perhaps users wearing your product or participating in an activity with your product involved. Be creative with your ideas, as it will bring better and more unique original content. Create a hashtag. It is important that this hashtag though be unique and short. You don’t want to utilize a hashtag that is also being used for a million other things. You also don’t want it to be long which could potentially trigger it to be misspelled and never actually found. Do your homework and strategizing early so you don’t have any potential issues down the road. Promote…Promote…Promote. Once you have the other pieces in place you will want to promote it. Not just on Instagram and Instagram Stories boosting content but also on all your other social networks as well. In addition you will want to promote the campaign in your email newsletter blasts, your blog, homepage and wherever else you get eyeballs. If people aren’t aware of your campaign, you will get very little participation. 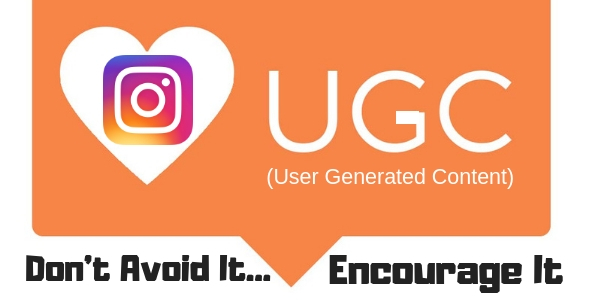 By creating a UGC campaign on Instagram is a great way to showcase your products in a much more genuine and real way that your consumers can relate too. This content isn’t staged, Photo shopped and greatly color corrected. Instead it’s natural and organic which makes it much more credible in the eyes of the Instagram Algorithm. To assist in a strategy for a UGC Instagram campaign for your brand or business contact The Interactive Imprint today at 954-254-1650 or visit TheInteractiveImprint.com.